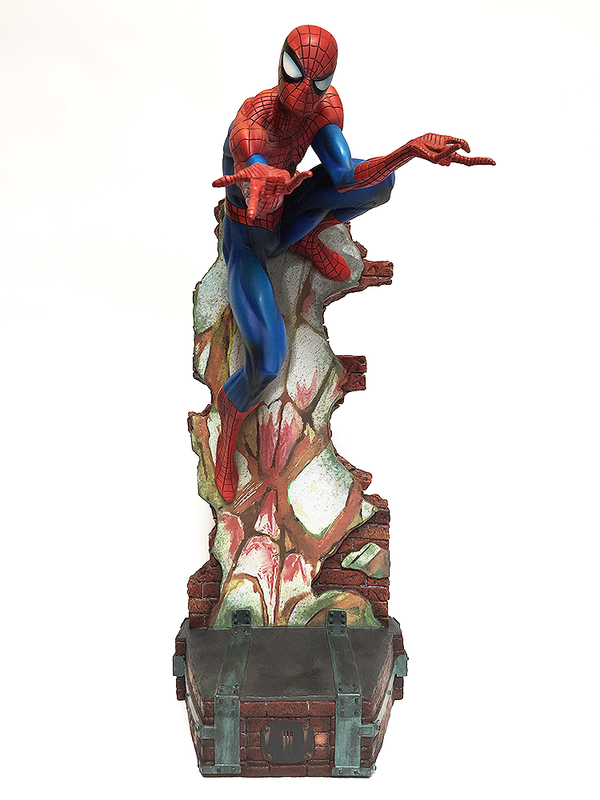 Little late on this one, but here we have Spider-Man designed by J. Scott Campbell polystone statue! 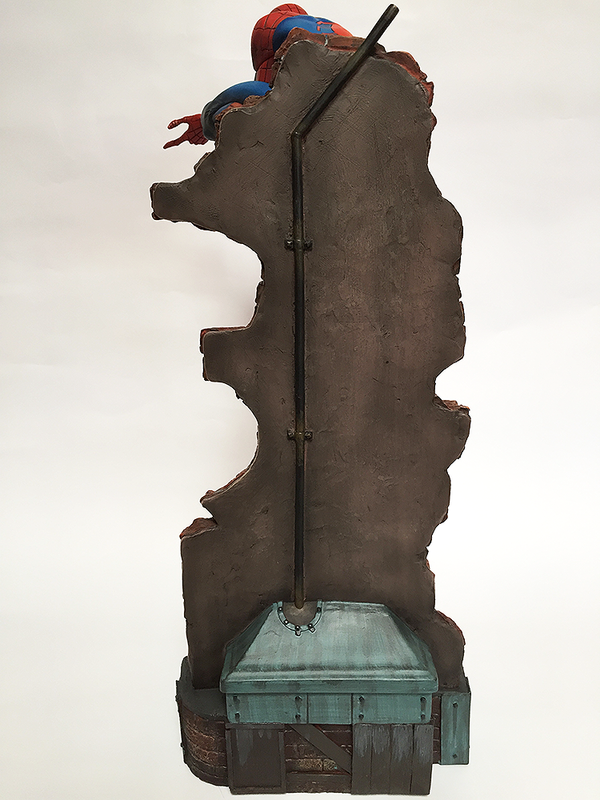 This is the first version that was released late last year and not the recently announced version that is set to release in May 2015. 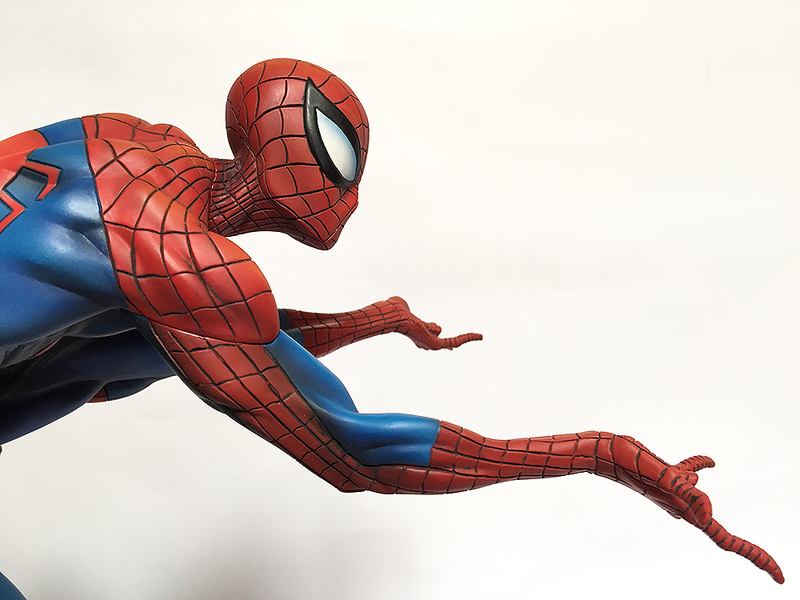 Awesome portrait of Spider-Man's face graffitied on wall. 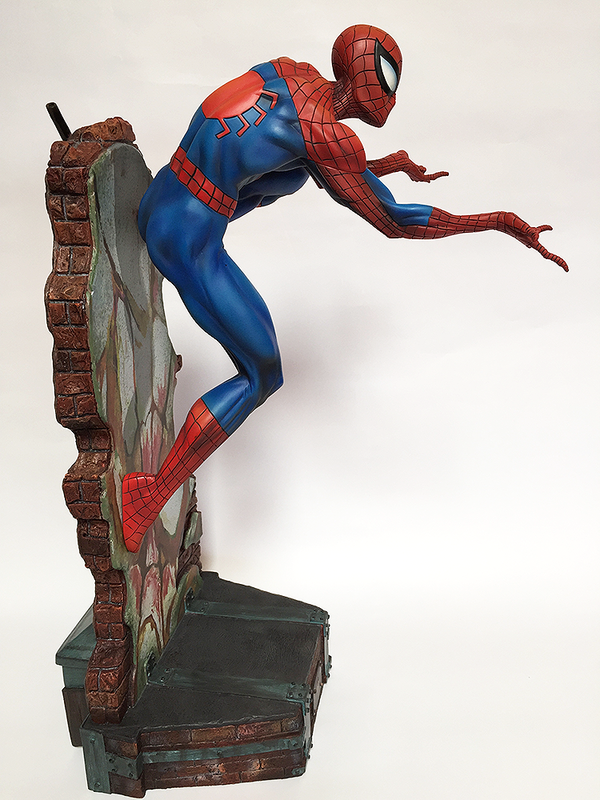 I love the pose on this piece and it's magical how SideShow made Spider-Man stick to the wall. 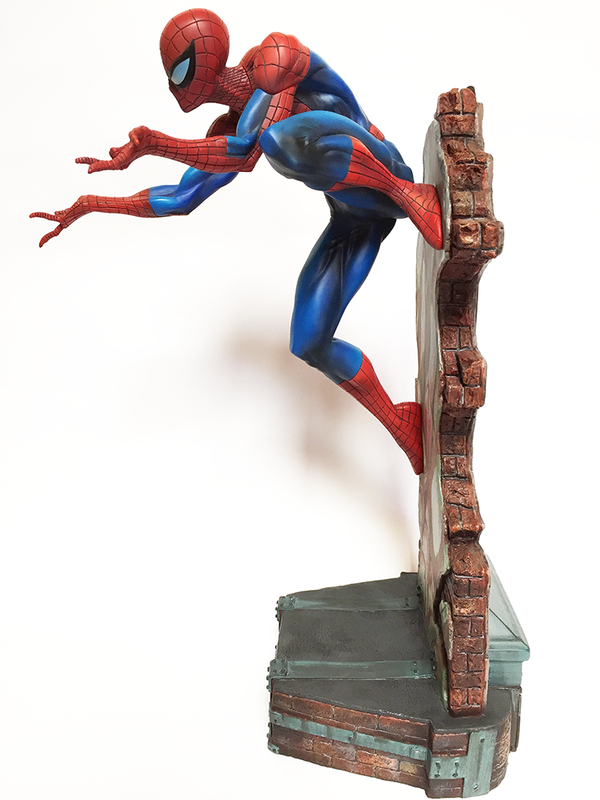 Very dynamic and shows statues can be cool and not boring despite having zero articulation. 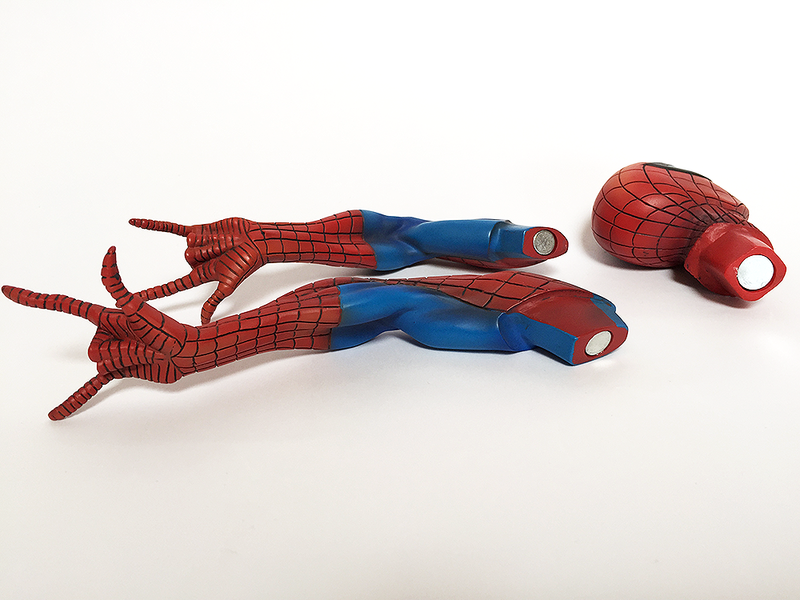 The arms and head use magnet to attach to the body. 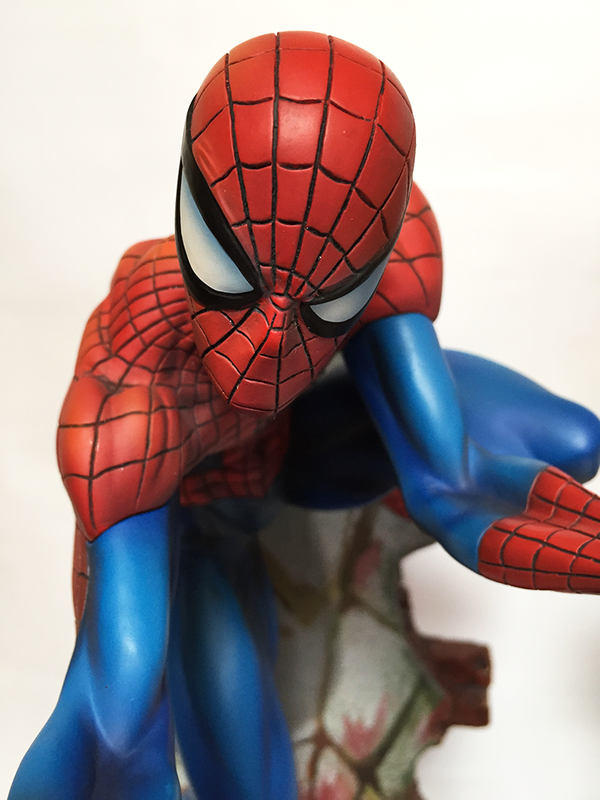 The detail on the head is top notch and the panel lines are nicely painted. 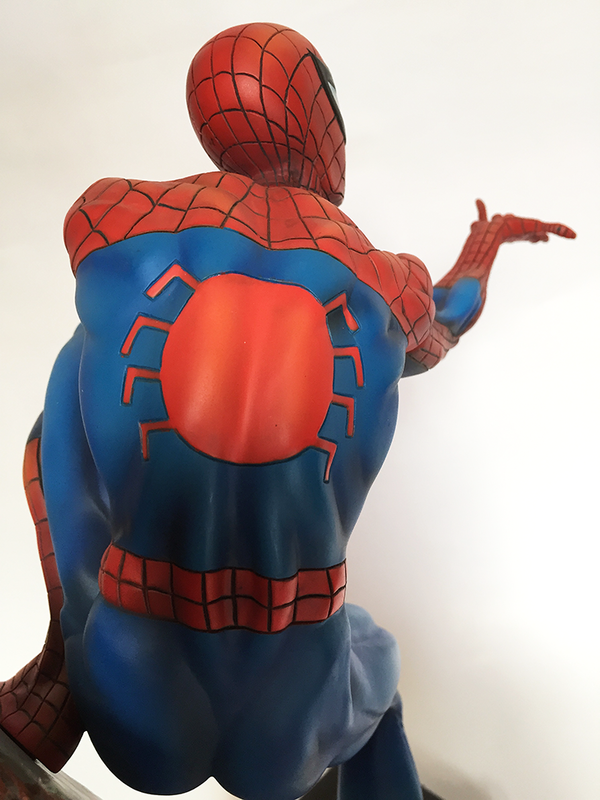 There are few minor smudges here and there but you can tell these were hand-painted which I have some what appreciation for. 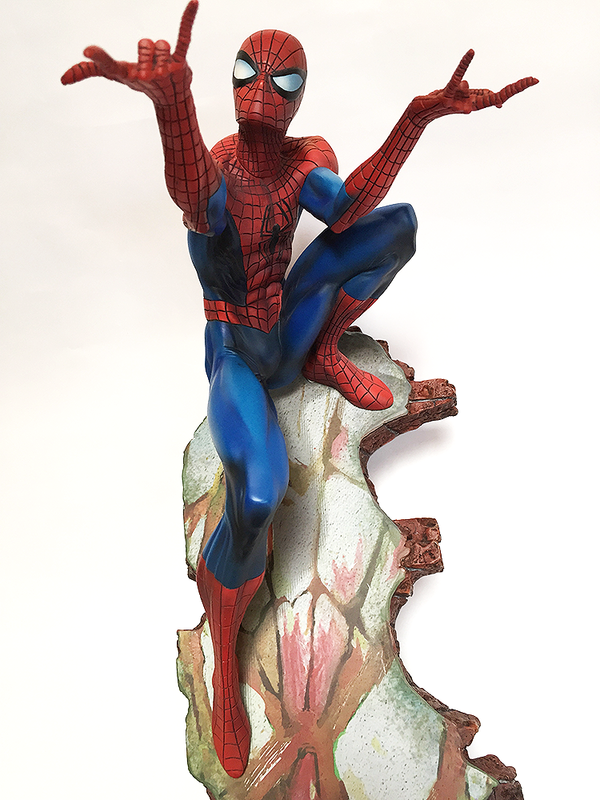 It makes it more of an art-piece than collectible figure. 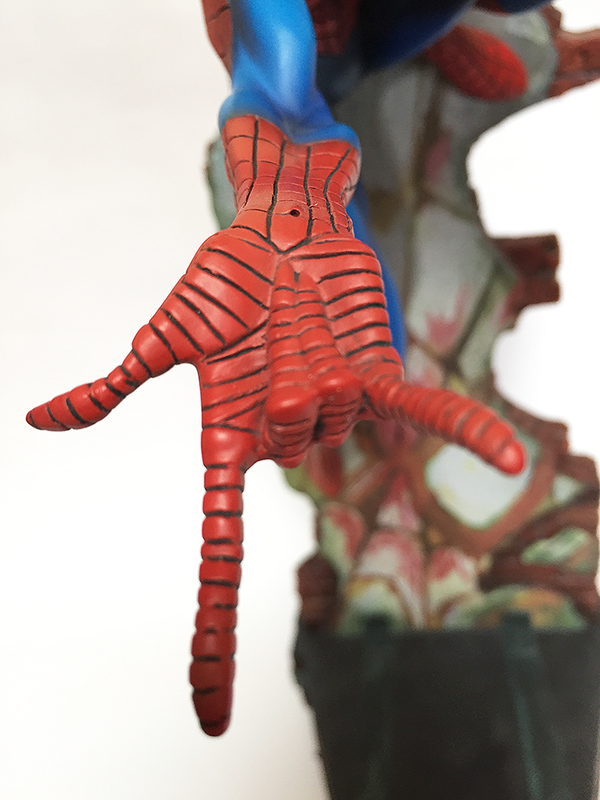 Almost complete! 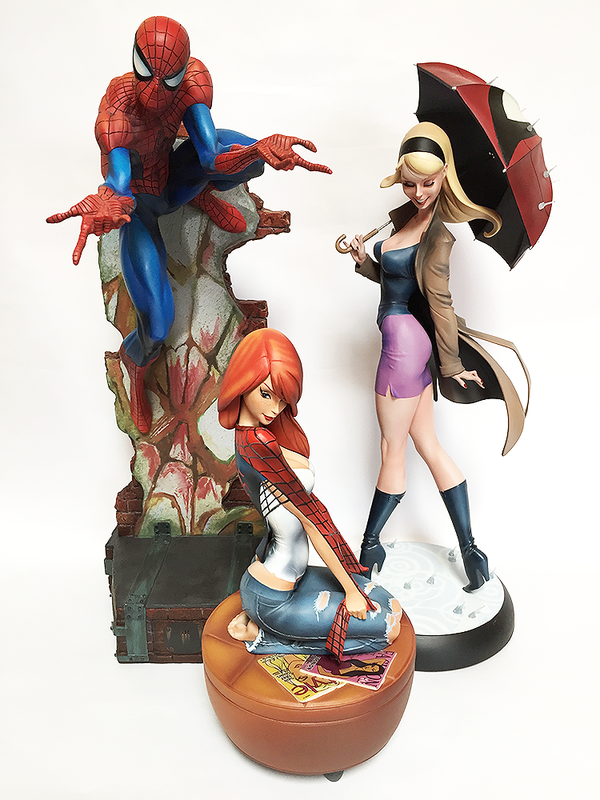 Spider-Man looks great even by itself but with the iconic ladies together it really adds a lot more and looks just picture perfect. 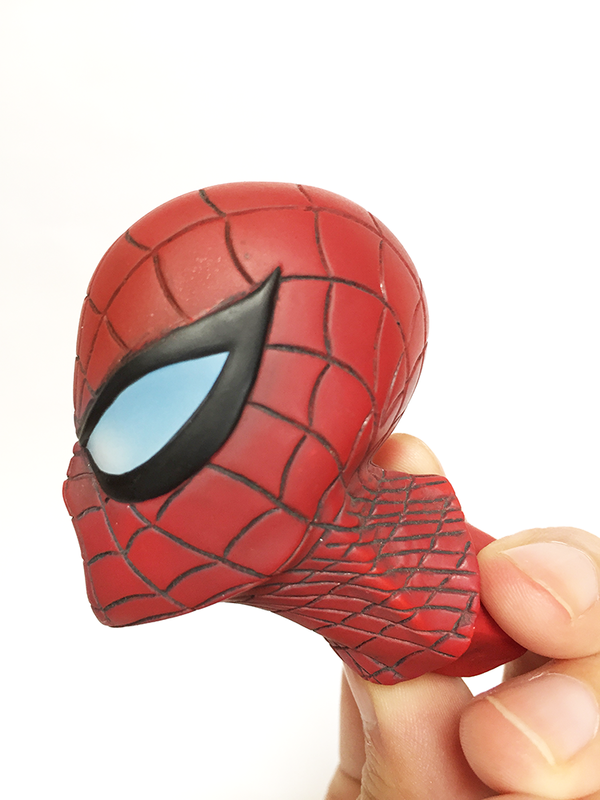 All that's missing now is the infamous sneaky...Black Cat! Truly an art-piece and never boring no matter how many times I look at it. 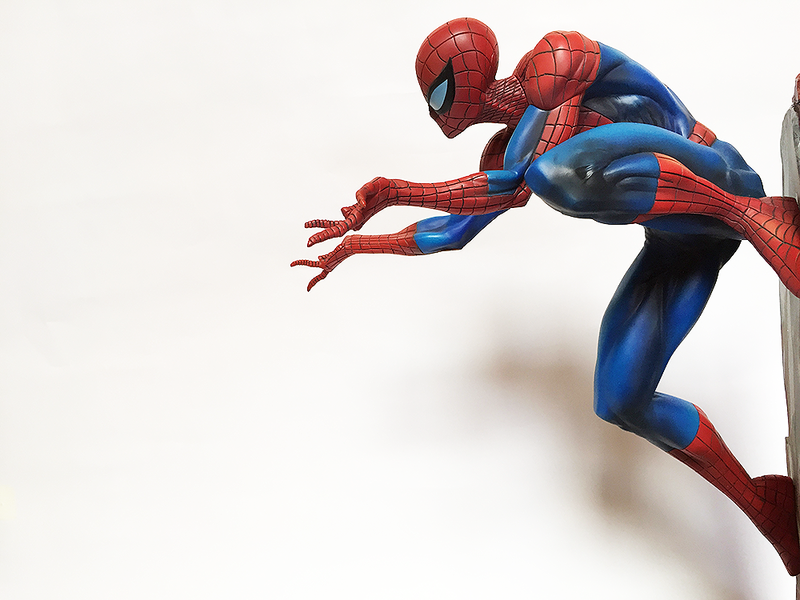 I'm fan of J. Scott Campbell's design and artistic style, especially his Spider-Man works so this was no brainer for me. 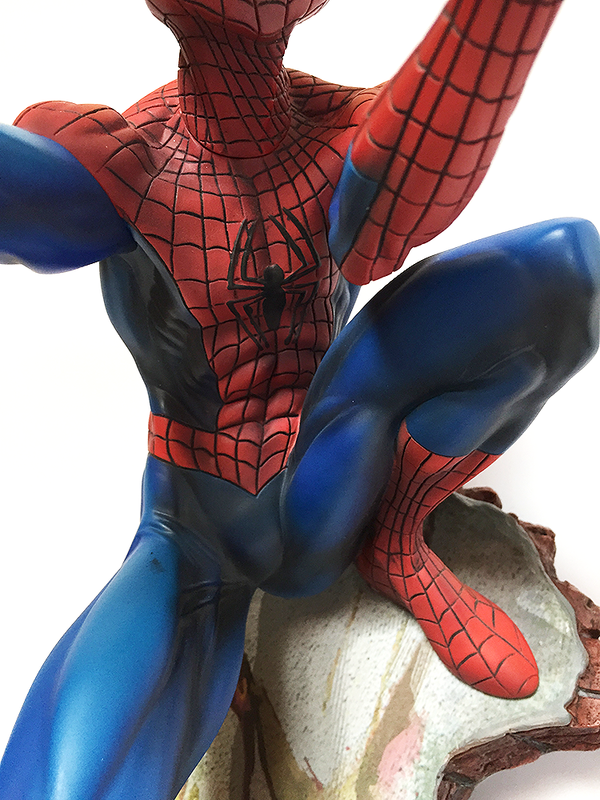 This version is unfortunately already sold out on SideShow but you can still have your chance at getting the new "classic" version which still on Preorder now on SideShow here! 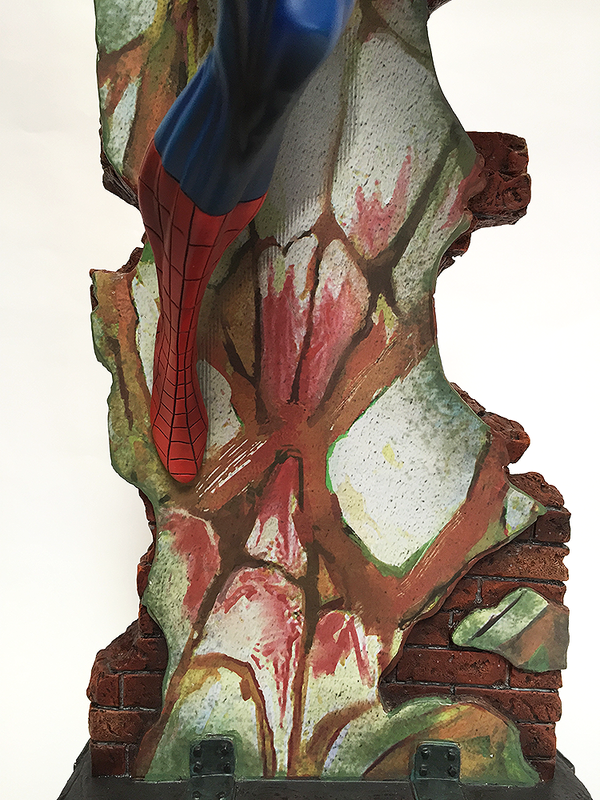 The "classic" version is a repaint with darker colors and different graffiti painted on the wall Spidey's hanging on. 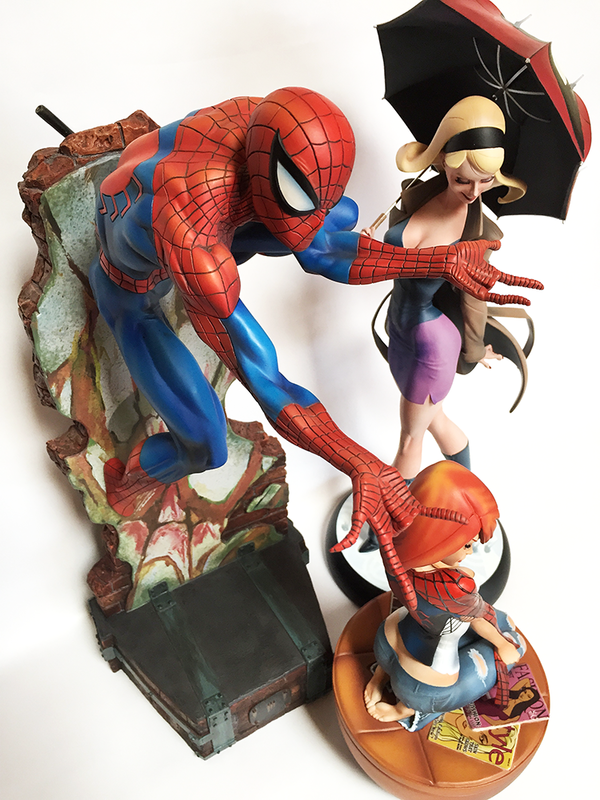 If you're fan of Spider-Man and J.Scott Campbell, this really is a must-have and really cool art piece.